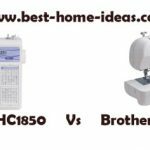 While Brother LX2763 is a good beginners sewing machine, its availability and price instability is still a concern. There is a better alternative from Brother. 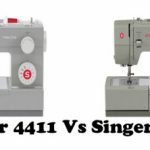 LX2763 is a basic beginners sewing machine. 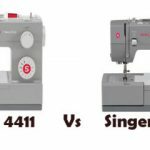 It is not a very popular model in US, as there are other well established machines with same features. We will get to that later, first let us focus on LX2763. The machine has 27 built-in stitches including a 1-step buttonhole. There are 63 stitch functions available on this machine. The automatic needle threader is a huge blessing for old people. One thing I really like about Brother LX2763 is that it has a top drop-in bobbin which is very easy to use compared to side loading bobbins. Beginners will love this feature for sure. It also has an automatic bobbin winding system. You can sew cuffs and sleeves by converting the machine into free arm mode. 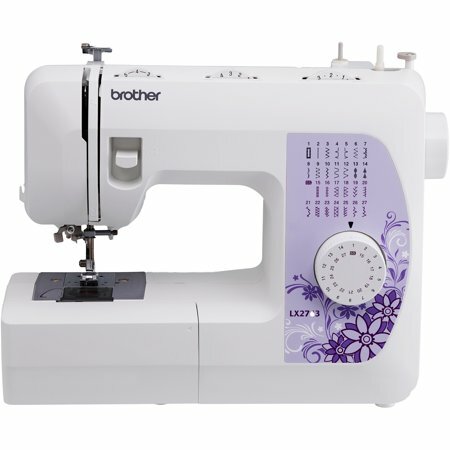 Brother LX2763 is a simple mechanical sewing machine, so the stitch selection is done using a dial. The stitch chart is printed on the front of the machine itself. A single LED bulb illuminates the work space. It does a decent job, but you will have to rely on exterior lighting in most cases. Brother has employed a pretty powerful motor for this machine. The motor can deliver 800 stitches/minute, which is very impressive for a beginner machine like this. The maximum stitch width is 5mm and stitch length is 4mm. Another feature I really like about LX2763 is that, you can do free-motion quilting by dropping the feed dogs. There are even $200 machines without this feature. There is a built-in accessory storage compartment as well. The machine is light in weight, but it is not the lightest machine by any stretch of imagination (the lightest Brother machine I have ever seen is the XR9500PRW at just 9 pounds). Brother LX2763 weighs 12.3 pounds. It also has 25 year limited warranty cover. Brother LX2763 has a good variety of stitches on offer. The stitch quality of all the built-in stitches are pretty good, especially the 1-step buttonhole. Tension seems to be just about perfect out of the box, there is no thread bunching or stuffs like that. 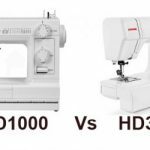 The sewing speed is also very good, thanks to the powerful motor. The operation was very smooth. Overall, I am very satisfied with the working of this machine. The included DVD is not that easy to understand. Another problem with LX2763 is that it is not available at all stores. Even if you manage to find one, the price seems to be very unstable. Since availability and price instability is an issue, you will be better of going with much more established Brother XM2701. This has exactly the same features of LX2763. 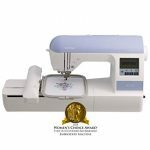 In fact XM2701 is the best sewing machine you can get under $100. It is a quality machine. Ever since its release in 2014, it has been one of the best selling beginner machines in US.